Dominique Crenn, head chef at the Atelier Crenn restaurant in San Francisco, became the first female head chef in the U.S. to receive the extremely prestigious rank of three Michelin stars. The ranking is highly respected worldwide, with only about 120 restaurants obtaining three Michelin stars, and only five of them run by women. Crenn already receives mail from young girls who see her as an inspiration and role model, and with her unprecedented achievement in the United States, her fan following is sure to increase. Read more. Last week’s polar vortex left many feeling cold, but the weather was particularly brutal for those experiencing homelessness. Chicago good samaritan Candice Payne rectified the situation by renting 20 hotel rooms so that homeless people in the area could have shelter and a warm bed. Her actions not only impacted those who were given the rooms but also inspired other kind strangers to rent out 60 hotel rooms for about 80 people. Even with the temperature falling, the compassion of good people continues to rise. Read more. An elderly youtuber is going viral after trying to handwrite thank you letters to his 1,862 followers who regularly tune in to his wholesome videos that showcase stories he’s written about his garden. Nilson Izaias, a Portuguese senior citizen, was sweetly thanking fans by name when his subscriber count suddenly boomed to over 897,000. 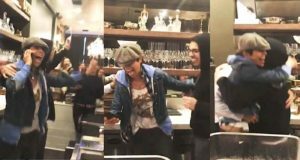 Since his spike in popularity, Nilson has posted numerous thank you videos, each one just as wholesome as the last. He’s proving just how powerful gratitude and an appreciation for the simple things in life can be. Faith in humanity restored. Read more. 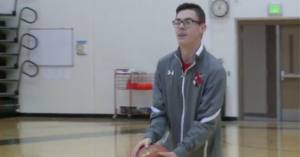 Clay Warner, a senior at North Polk High School in Alleman, Iowa, played his first basketball game with the school’s team, despite being legally blind. Warner was born with cerebral palsy, but that didn’t stop him from joining the varsity team. Coaches, fearing he would get hurt, never gave him any playing time, until they finally put him in the game on Friday night. Warner proved his skills when he took a shot and scored for his team. The inspiring player was met with a standing ovation and cheers from everyone in the gym, including the other team. Read more. In the small town of Oxford, Mississippi, police officers are stopping cars at a high rate — but not to give them tickets. In Oxford, if you’re pulled over for a busted taillight or minor repair issue, officers will give you a voucher for the repair. The police force’s “We Care Program,” modeled off of similar programs in other states, aims to make sure each driver in good standing has access to a fully functioning, safe vehicle. The police department and local auto body shops teamed up to give back to the community, and everyone’s safer because of it. Read more.